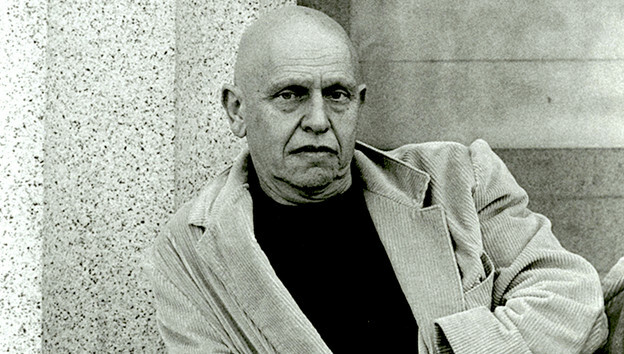 On March 26, 2003, before an audience gathered for an event sponsored by the SUNY Buffalo Poetics Program, David Antin performed a fifty-minute talk-poem called “War.” It seems to have been a tense gathering. The second US incursion into Iraq had begun six days earlier, led by George W. Bush, who featured prominently in Antin’s talk that evening. After delivering “War” this once, Antin apparently never transcribed it — nor apparently then, in his usual mode, lineated this talk-poem. Did he not sufficiently value it, then or later? Is it perhaps too unlike his usual talking performances? Perhaps it too directly — or even mundanely — referred to the political crisis of the moment in relation to the poet’s work? Was it not as improvisationally digressive or comic or schticky as other pieces he chose indeed to transform into written/printed poems for publication in print? 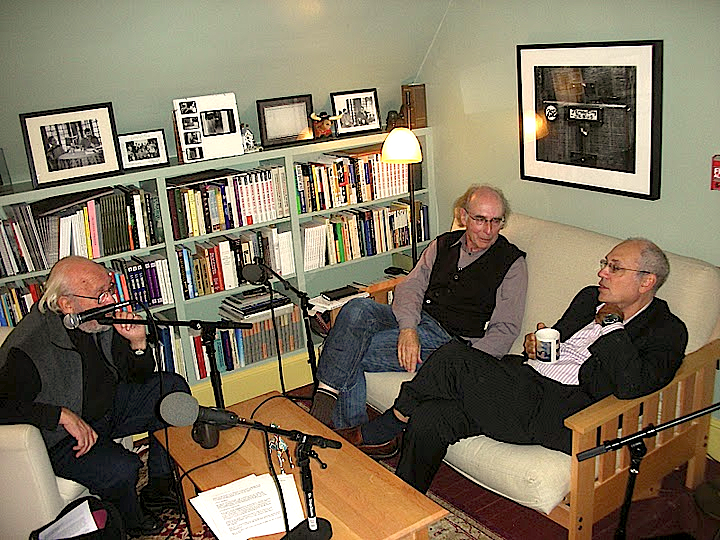 So PoemTalk this time — featuring Ariel Resnikoff and two dear friends of the late Antin, Jerome and Diane Rothenberg — considers “War” and such questions. And more: To what extent does this quasi-fugitive piece befit Antin’s hopes for poetry’s worldly effect? What particular relationship does this piece have to Antin’s other work, or to poetry more conventionally presented and defined, or to political speech uttered by the poet in a “poetic” space? Antin’s “War” is far too long to be included in the PoemTalk recording. We excerpt two portions. One of these Al Filreis refers to as “the Archimedes section” and the other as “the metonymy section.” The whole recording can be found on Antin’s PennSound page, and also here. This episode finally enables us to ponder the legacy of Antin’s talk-poem project, and its origins. 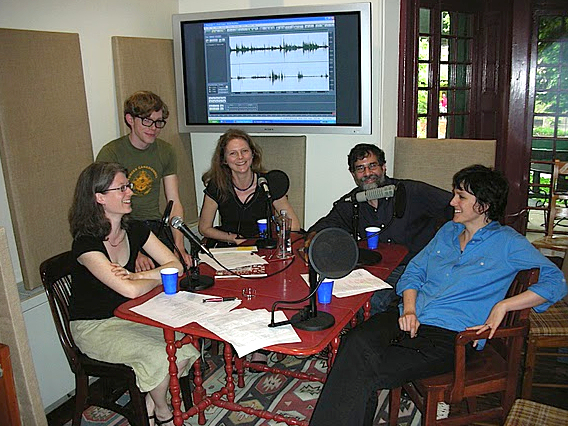 Jerry and Diane Rothenberg, toward the end of the episode, take time as well to describe their six-decade-long friendships and collaborations with this much-missed colleague. The 123rd monthly episode of the ongoing PoemTalk podcast series was directed and engineered by Zach Carduner and then edited by the same Zach Carduner. It was recorded a few hours before the people of the Kelly Writers House celebrated the fiftieth anniversary of the publication of Jerry Rothenberg’s anthology, Technicians of the Sacred. Recordings of that event — audio and video — can be found at the Kelly Writers House web calendar entry.